“Everyone knows what to expect of a British pub anywhere in the world. But there is still no concept of an Indian Bar,” says restaurateur AD Singh. 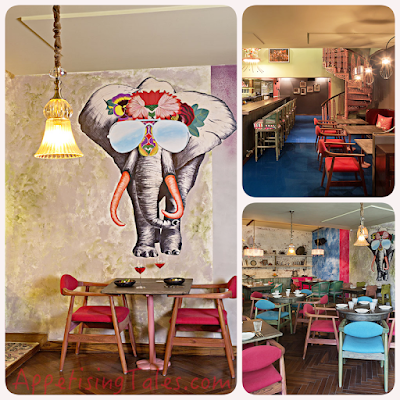 Filling this gap is his latest venture Ek Bar, in partnership with Chef Sujan S.
Opened in the space that was earlier occupied by Diva Kitsch, the interiors are definitely kitschier than earlier. One finds a lot of deep Indian colours and motifs on the walls as well as upholstery. The image of a large elephant, sporting mirrored aviators encapsulates perfectly the Quirky Indian theme of Ek Bar. But what sets this bar apart from the rest? In keeping with the name Ek Bar, the traditional beginning of old hindi stories, every cocktail has a story behind it, that is narrated rather interestingly, piquing one’s interest in the drink. So while The Royal Indian Punch is made with whiskey, fermented kahwa tea, pink grapefruit and an assortment of spices, the story goes that punch was originally a royal Indian drink called “panch”. Then there’s a twist on the mojito. The Gujju inspird Mogito 6 (pronounced moh-gi-toh chhe) features the amrak, or star fruit and a 6-spice mix. Most cocktails have stories inspired from different regions – Kolkata inspired Queen Victoria, Mumbai inspired Platform@CST, Hyderabad inspired City of Nizams and so on. I liked most cocktails that I tasted since I don’t like straight, hard drinks. 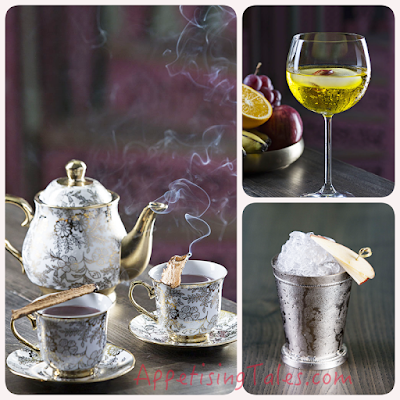 However, if you don’t like spices or too many blends in your drinks, you can always opt for traditional cocktails like the Old-fashioned – they do those quite well too. Right Top: City of Nizam; Bottom: Murabba Mule. As far as the food is concerned, Chef Sujan is a maverick as he has proved it as Chef de Cuisine at Olive at the Qutab. But this is a side to his food that you have not seen before. Modern Indian in the truest form, he’s happy to share that all ingredients for this fare is sourced locally. Since everything is made in-house he has had a lot of room for play. 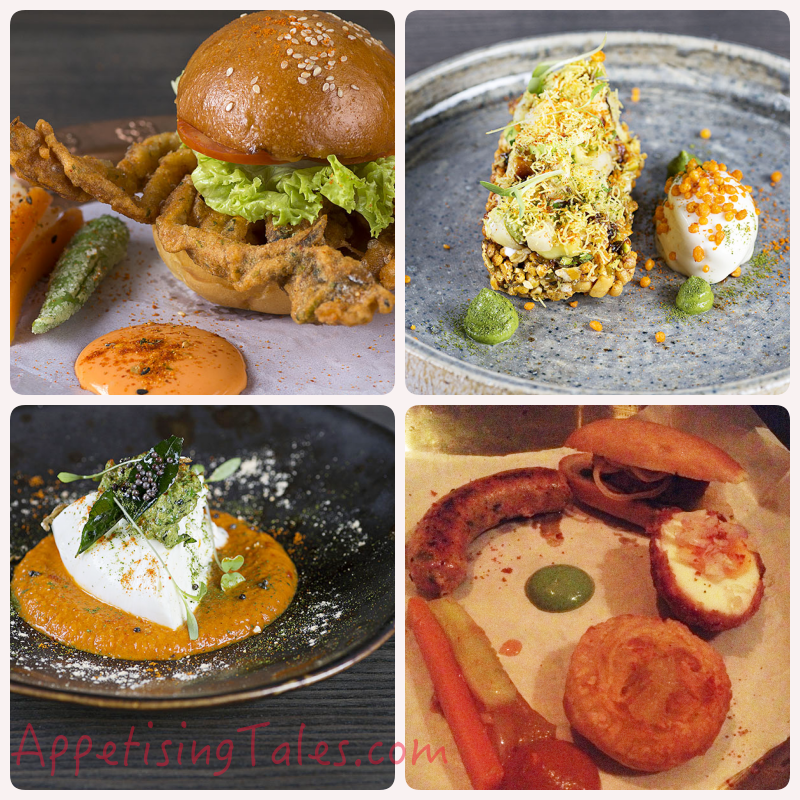 There are chicken tikka sausages, galauti dogs, chicken 65 burger, frozen dahi bhalla served with the jhalmuri served granola style in Ek Bar – Granola Bar. Instead of cheese or meat platters served in most bars, you’ll get thalis here. The choice of Vegetaraian, Non vegetarian and Fish and Seafood Thalis are good for sharing over a few drinks. If not, you can opt for the Amristari Kekda Po-Boy, a soft shell crab burger served with masala wedges and vegetable pickle. The unanimous hit on my table was the Chicken Liver and Liquid Bheja Pate with masala taftan or a UP-style bread and sirka pyaaz. Chef Sujan has even brought some of the Indian street food in a gourmet avatar to Ek Bar. I have already mentioned the jhalmuri, then there’s tikki chaat and papdi chaat, but in forms you’ve probably never eaten before. Fresh Local Burrata Cheese, Non Vegetarian Thali. Last, but not the least – the desserts. The choice is limited, with three options. Orange Murabba Ice Cream, Carrot Halwa Cake and Banana Tarte Tatin. While I quite like the carrot cake, the homemade butter milk ice cream takes it to the next level. 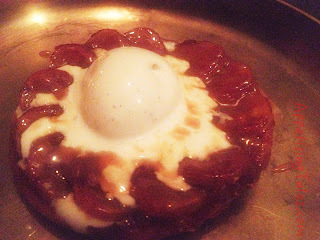 But the dessert that became an instant success, and one I will be going back for, is the Banana Tarte Tatin. If you like banana desserts, and are bored with the ubiquitous banofee pie, just go for this one! The jaggery caramel, Indian vanilla ice cream and the delicious upside down pastry is a match made in heaven. You do need a sweet tooth to enjoy this one though. So, if you’re done with aping the West and are ready for a refreshing experience of Modern India, head to Ek Bar. This is where the essence of Incredible India has been captured in quirky cocktails and colourful food plates. Ek Bar, D -17, First Floor, Defence Colony, New Delhi – 110024. Timings: 6pm onwards; daytime opening on weekends to follow shortly. Prices: Cocktails Rs 500; Non vegetarian and Sea Food Thalis Rs 1150.